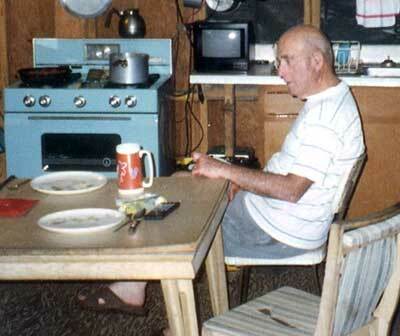 Long time Gladesman, Big Cypress Sportsman and my friend, has finished his time with us. 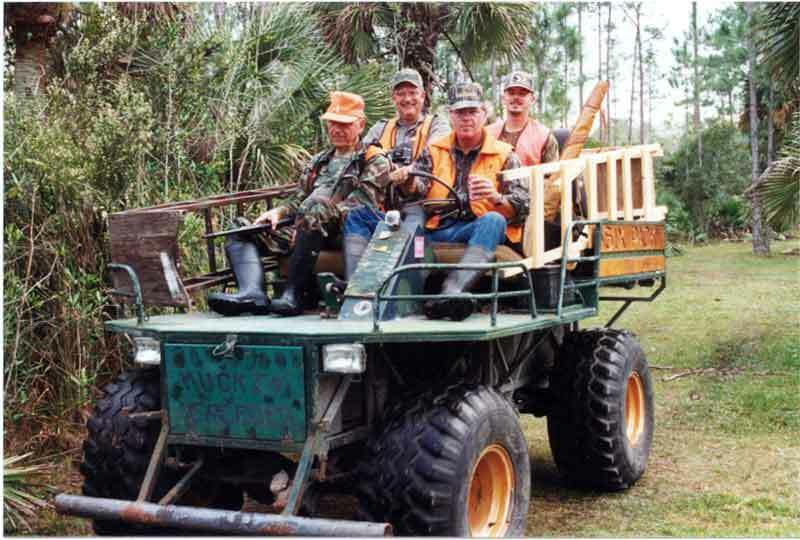 Jack, was a long time member of the Everglades Conservation and Sportsmen Club. An early member, that spent time with the founders of the club and was a good friend of Calvin Stone. (Cal and Jack spent a lot of time quail hunting together after they retired from work.) Jack was a contributor to the club in its early days. Back in the early days of the Wild Hog Barbeque, the participant members would spend the whole week of the barbeque, preparing the club grounds and preparing the food. Jack would take off from his job and spend the whole week at the club for the barbeque. His last years as a member of the club, he became more of a silent member, slipping in and out of the club, but would tell me stories of the ole timers, the club and its history. 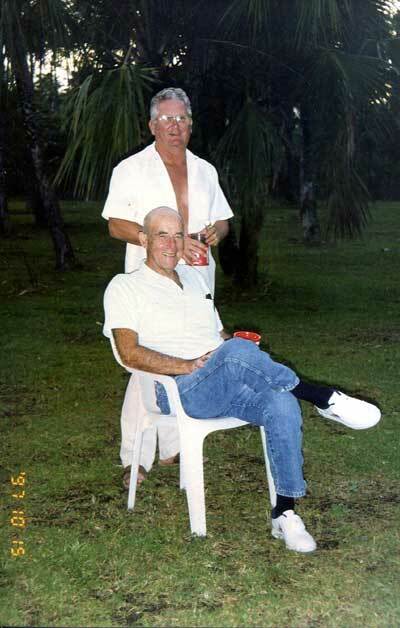 Jack worked for the Town of Hialeah and was friends with Ed Stewart, a Hialeah Fireman and another long time Conservation Club member. The were both Marines from the Korean war era and while in the Marine Reserves, were on the Marine Pistol team. 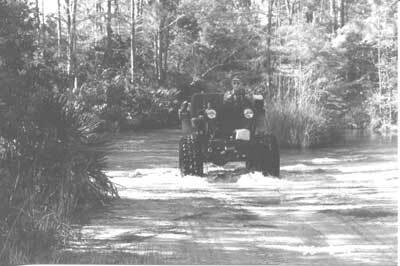 They both had a camp about a half mile apart in the deepest part of the Big Cypress Swamp. They were from the era in the swamp where almost anything was going on. 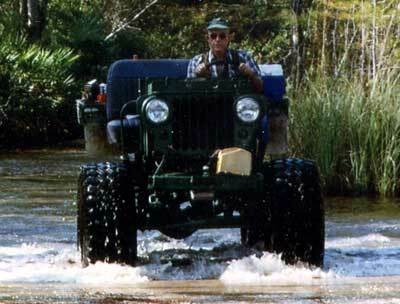 Back when only the most rugged of people would penetrate the swamp that far. Back in that day, before the game commission was involved, "woods law" prevailed and most problems were solved by gladesmen taking care of problems themselves, both on the Conservation Club grounds and in the swamp. A couple of Marines can make sure things are done right. Jack's camp is known as Camp Kavanaugh. 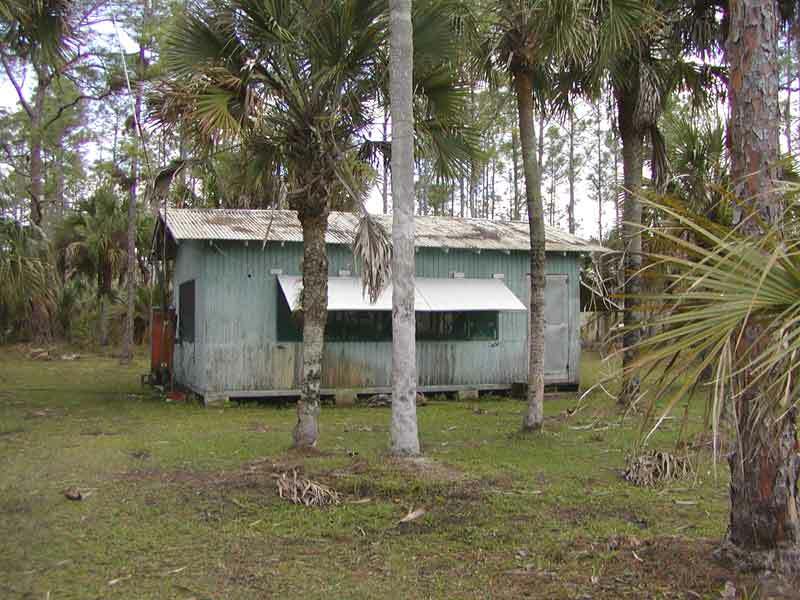 It is the second camp, he built on his property in the Big Cypress Swamp. His first camp was built in the same Pine Island as his second one, but it burned down in a forest fire. Jack moved the site for his second camp to the lower end of the pine island, so it would be better protected from another forest fire. As was the custom back in that era, his friends and fellow gladesmen help him build the new camp. The current owner, told Jack the camp would always be known as Camp Kavanaugh and that is certainly fitting and a tribute to Jack. 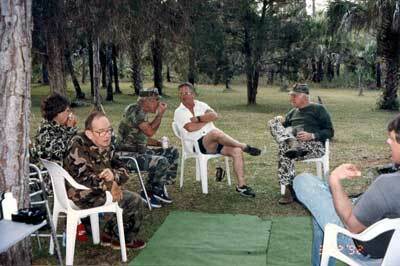 Jack was a good friend to the sportsmen in the area of his camp. I remember a time I was turkey hunting up north of his camp and was successful in getting a turkey. On my way back to my camp, I passed by Jack's camp and Jack called me in to have a cup of coffee and sit a while to tell him the story of my successful hunt. There were other times he helped us out. One time a bear decided it wanted all the food we had in our kitchen and in climbing in the window broke our pvc pipes. We had the pipes and fittings we needed to repair the plumbing, but our cement had dried up. After chccking with other camps on the way, we stopped and woke Jack up from a nap, to see if he had cement we could use. Jack cheerfully, gave us cement and made our weekend more pleasant, by getting us running water again. Jack was active in the Masons, a past Grand Master of the Most Worshipful Grand Lodge of F&AM of Florida in 2005. He was also a Kentucky Colonel. Jack always enjoyed the camaraderie of his fellow sportsmen. Enjoying a drink, telling and listening to stories, he was welcome at all the camps in the area. His gruff marine exterior, disappearing with his friends. 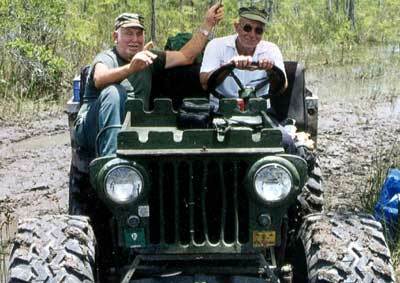 Jack was one of the remaining few ole timers in the swamp and as his old companions, one by one left the swamp, Jack spent more time with us and Bob Diehl. In the last years, we almost always invited Jack over to dinner, when we made a trip to the swamp. As you see in the picture, as Jack got up in years, Bob and Jack became very good friends. Bob always called Jack to see if he wanted to go to camp, when Bob was going to the swamp. As Jack's abilities diminished, Bob helped him along, allowing him to remain independent, but watching out for him on the trips. Jack may have had a better friend at sometime in his life, but near the end he had a very special and supportive friend in Bob. So Jack, I am a little envious of you now. You are free to wander the Big Cypress Swamp, un-encumbered by regulation and rules, aches and pains, and old age, as us mortals are. You have joined your former gladesmen and are free to enjoy the swamp and their camaraderie as you did in the past. You can re-live the old days in the swamp, when it was governed by "woods law", friendships and controlled by sportsmanship and common sense. As you pass me in the swamp, give me a smile and whisper in the wind, where I might find that turkey or deer hiding. You will certainly be in my memories.